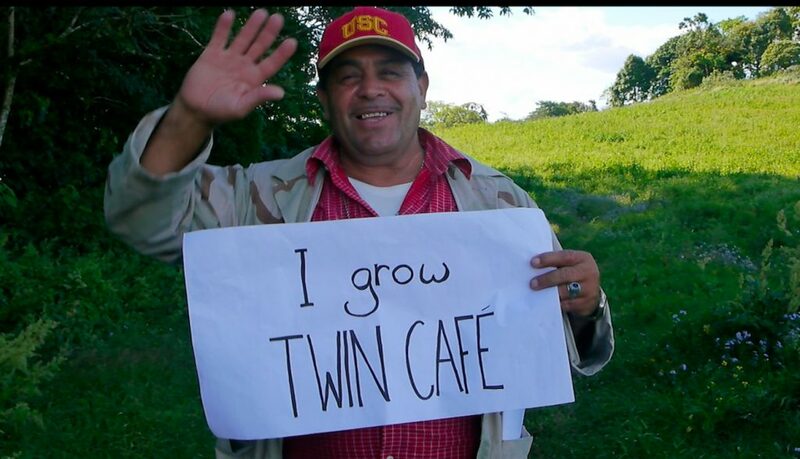 I helped to start Twin Cafe in 2014 with two of my friends, Tom and Sarah. We began to import green coffee from a small farmer’s co-operative just outside of Sheffield’s twin city Estelí in Nicaragua. We paid the farmers a premium for the coffee. The coffee was then roasted and packaged in Sheffield at our local roasters. 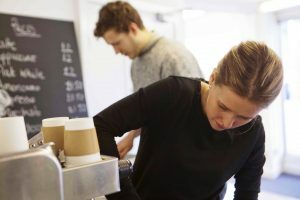 At the time we were all students at the University of Sheffield and were motivated by the idea of creating a coffee company that benefited the communities where the coffee is grown and and also where it’s sold. Our idea was to pay farmers the best possible price and to give our profits to social projects working with young people in both Sheffield and Estelí. We knew next to nothing about starting a business but were ready to give it a shot! In the three years since then we’ve had a lot of fun: we’ve sold over 12,000 bags of delicious coffee, given over £2,000 to local charities and bought over 4 tonnes of green coffee from farmer’s at a premium price. We’ve been struck by how excited people in Sheffield have been by the project. They’ve supported us both by buying the coffee or donating their time, skills and knowledge. We’ve been fortunate to work with amazing volunteers. Jack and Natalie together designed our entire brand, including our website and packaging (all whilst still studying at Sheffield Hallam University). One of our good friends Mike moved to Sheffield for a year to help us with the project (he even lived in our sitting room). Mike’s an avid environmentalist and during his time working on Twin Cafe he set up a coffee recycling project and was delivering all of our coffee by bicycle! Another star was Beatrice who you’ve probably met if you ever visited our weekly pop-up cafe at Union St. It wasn’t just volunteers who were showing their support. We’ve had some amazing partners and customers in Sheffield. Union St co-working space got behind the idea very early on and supported us to run pop-up cafes. Some of Sheffield’s best local food and drink companies began to stock us: Four Courners Cafe, Beanies, Mr Pickles’, New Roots, Just Natural, Beeches of Walkley, and Planet Pot. The University also started to get behind us stocking the coffee in the Union Shop and in Coffee Revolution. Despite these successes we’ve struggled financially at times. Sarah decided after the first year that selling coffee wasn’t what she wanted to do long term and so headed off to Barcelona to do a masters, and by the end of our second year we still weren’t making enough money for both me and Tom to survive. After disappearing further into the gloomy depths of my overdraft I decided to begin working for a different social enterprise in London. 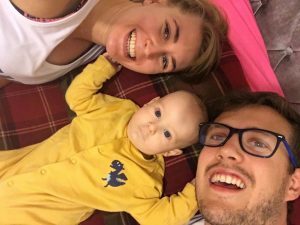 Another year went by with Tom running the business and working with a new set of volunteers, and then Tom found out the life changing news that he and his partner Victoria were going to have a son. With baby Oliver to provide for he needed to find work that would provide for his young family. Well thankfully we’ve been very lucky. 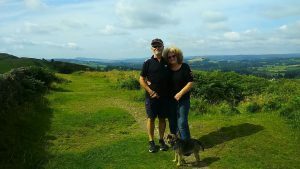 A serendipitous meeting with our coffee roasters led to a local couple, Anne and Jeff, hearing about the project and wanting to get involved. Anne has over thirty years of experience in the public and charity sectors. 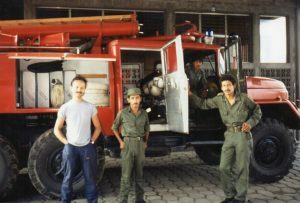 Jeff has worked in Sheffield as a fireman and in the 1980s he went out to Nicaragua on a coffee brigade. He helped farming communities to pick coffee beans that would otherwise have rotted and been wasted because all the men in the communities were having to fight to defend the country from American backed terrorists. Anne and Jeff are looking to get Twin Cafe going again. They’re working hard to rebuild our relationships with the customers who have supported us since the beginning, but who haven’t heard from us in a while! Finally, after living and working in London for 18 months I’ve headed out to Nicaragua to be here for at least the next year. My hope is to work with the farmer’s co-op and understand how Twin Cafe can be more innovative in how we support the farming community. Almost everyone who’s been involved with this project has been motivated by the idea of finding a fairer way to do business; one that’s rooted in local communities and treats everyone, from customers to producers, equally. We’ll continue trying to do that and hope you’ll carry on supporting us. If you’d like to get your hands on some of our delicious coffee just head over to our online shop which is back up and running again! Over the next few weeks we’ll be blogging about the challenges of growing a social enterprise. We’ll be sharing how we’re trying to grow the business in Sheffield and our attempts to find better ways to support the farmers and improve the quality of our coffee. Well done 👍 So pleased to hear that Twin Cafe will continue. We, and our customers , love your coffee and what it stands for. Look forward to hearing more. That’s great news and brilliant you’ve taken over Anne and Jeff. Hi to all and good luck with everything. Anne and Jeff are friends and we know they will give their all to this project. Viva Twin Cafe!! 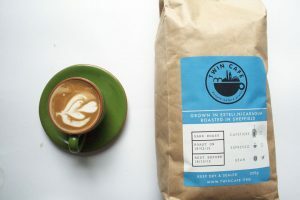 Thanks for the update – I’ve been a fan of Twin Cafe for some time – and look forward to buying it again! This is great to hear Sam, glad that you’re back and things are reinvigorated. Your timing was awful, however, as I just bought a rival coffee subscription for my wife…24hrs earlier! 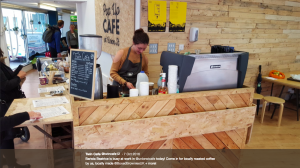 Wonderful news that Twin Café is up and running again. 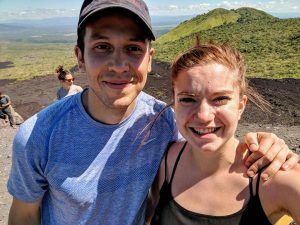 Huge respect for the commitment and dedication of Sam, Tom, Sarah and many others in building such an inspiring social enterprise,….and all the best to Ann and Jeff and others from all of us at the Nicaragua Solidarity Campaign.